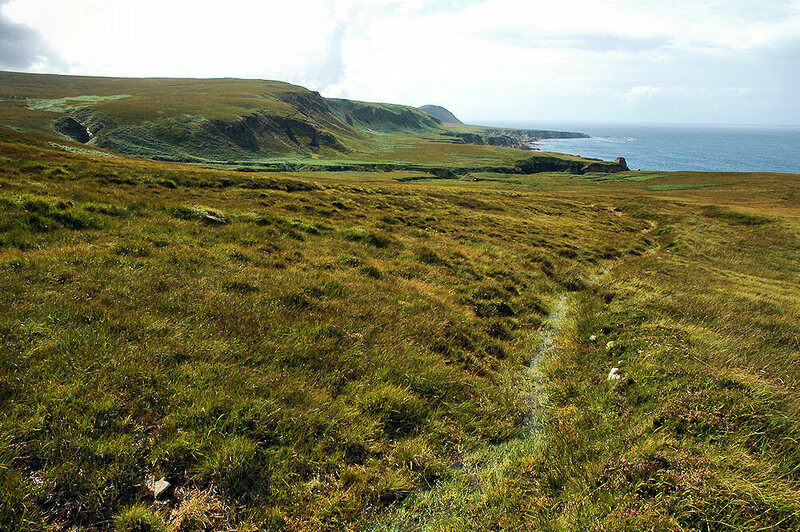 A view along the north coast of Islay, looking west. After earlier rain water is still running down the hills. Raised beaches stretch out along the coast towards Mala Bholsa in the distance. This entry was posted in Cloudy Weather, Landscape, Repost, Sunny Weather and tagged Islay, Mala Bholsa, raised beaches by Armin Grewe. Bookmark the permalink.